Last summer, students from FIU’s Communication and Media study abroad program worked with the Spanish-based, non-profit organization Professional Emergency Aid, or PROEM-AID, to help save refugee lives in the Aegean and Mediterranean seas. The students conducted several international multimedia campaigns to raise awareness about the organization, as well as bring in much-needed resources. PROEM-AID, is a non-profit organization based in Seville, Spain, which focuses on saving refugees as they escape war zones and cross dangerous international waters into safety. As part of FIU’s Communication and Media study abroad program, students gain international and professional experience in Spain by working with a local organization on their media needs. They create social media strategies, plan events, create advertisements, articles and videos — all of which give them a competitive edge once they graduate. They also visit media companies, enjoy cultural activities and travel to four different cities while in Spain. “From a student perspective, the opportunity to work with Spanish firefighters, who were saving refugees, was a once-in-a-lifetime opportunity. Beyond that, FIU’s Communication and Media study abroad program combined history, culture and applicable industry skills into a beautiful package that I’ll never forget. If there is space, you have to go!” says Ana Gomez, a broadcast media major who participated in the program this past summer and is now interning at the Spanish embassy. 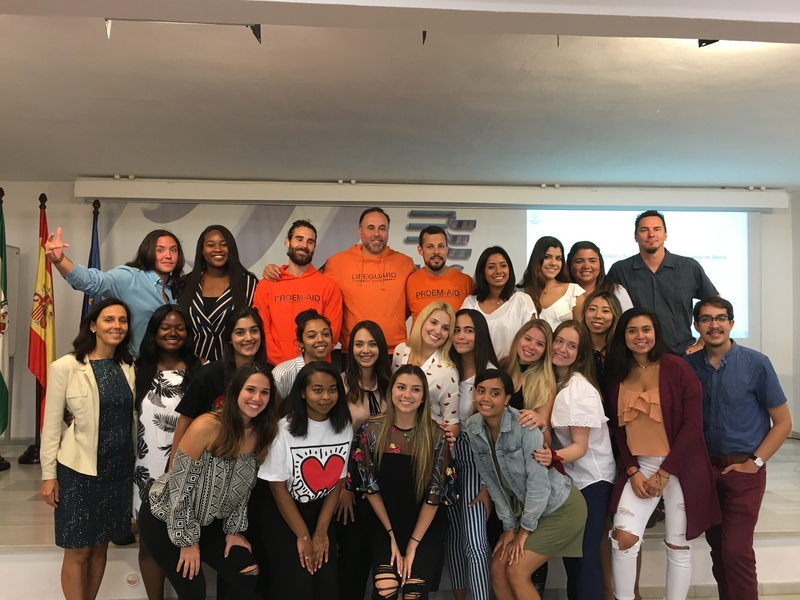 Gomez, along with journalism majors Maria Pinero and Alexis Woodyard, other program participants, were recently selected by the Spanish Embassy in Miami as student ambassadors to Spain. FIU’s Communication and Media study abroad program is open to all students and majors. For more information on PROEM-AID, visit the organization’s website. For more information about FIU’s Communication and Media study abroad program and how to apply, visit the program’s website.